I’m sure we all heard of the proverb “Out of Sight, Out of Mind”, well our roof is a perfect example of this saying. We take notice of our roof when we start having such problems as leaks, damp and mildew, or in some cases when pieces of roofing material start to fly off and hit us on the head. When you think about it though, the roof above your head is one of the most significant features of your home or business. The US Energy Department recommends that we start to pay closer attention to the material used to cover our roof and even the color of that material. They encourage residents of hotter climate regions, such as our own, to construct a “cool roof” to save money and help the environment. Cool roofs are designed to reflect as much sunlight as possible and in the process absorb less heat than a conventional or standard roof. The Energy Department explains that it is important for the color of the roof to be as light as possible (preferably white); just like us during the hot summer months when we tend to wear light-colored clothing to keep cooler. According to research conducted by the Department, a standard or dark roof can experience temperatures of more than 150°F under the hot summer sun whereas a cool roof may be more than 50°F cooler under the same weather conditions! Some people actually respond to this finding by saying, “So what, I don’t spend my time on the roof. Why should I care if my roof could be 50 degrees cooler?” The fact is that we should all care since a cooler roof has significant benefits, both to us and the environment in which we live. The most obvious benefit of cool roofs is that the amount of money you need to pay for your utility bills during the summer months will decrease significantly since your air conditioner won’t be working as often to keep your home or business cool and comfortable. What’s more, by keeping your roof cooler, it is natural that it won’t experience the stresses of extremely high temperatures and as a result, it will last a great deal longer than a standard roof. The Energy Department also states that when there are many cool roof buildings in a community, it can help the environment several ways. Firstly, the local air temperature can be reduced due to a phenomenon called “the urban heat island effect”. Secondly, it can help reduce the number of power outages during peak energy demand hours in the summer and finally, since less electricity will be needed to cool our homes and offices, we will have reduced power plant emissions which means a decrease in nasty greenhouse gases in the atmosphere. We can all make our existing or new roofs cool and in the process help our wallet and the environment. One of the most popular ways to make your roof cool, also recommended by the Energy Department, is by applying Spray Polyurethane Foam (SPF). This long-lasting ultra-light insulating foam is created by mixing two liquid chemicals together which react to form a solid piece that easily adheres to the roof, however, in order to extend the life of this material a special Ultra Violet (UV) coating needs to be applied to the foam. The white foam and the UV layers of coating are themselves reflective and offer us a long-lasting cool roof that will only need to be resprayed with a UV coating every few decades. When deciding to use SPF to cover your roof, you must remember that this material is only as good as the individuals who apply it. You should only trust professionals with a high degree of technical knowledge and experience who will apply your SPF roofing system under ideal weather conditions and on well prepared surfaces to ensure the material adheres to your roof properly. The foam also needs to be applied evenly to avoid small areas where rainwater may form puddles which can eventually damage your roofing material. 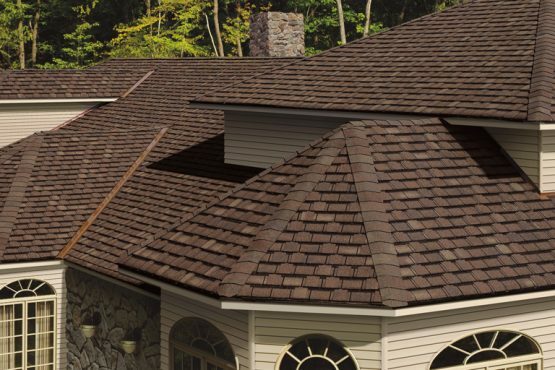 Only trust the best, when it comes to your SPF roofing needs, that’s why you should call the experts at Armstrong 1234 who have more than 30 years experience in installing SPF roofing systems!